Happy Saint Patrick’s Day, From the Shamrock! Happy Shamrock Day! I mean, St. Patrick’s Day! In honor of St. Patrick’s Day, let’s take a few moments to appreciate the clover for all it’s cultural and agricultural gifts. A four leaf clover is thought to bring good luck, but did you know that a three leaf clover has symbolism rooted in Christianity? 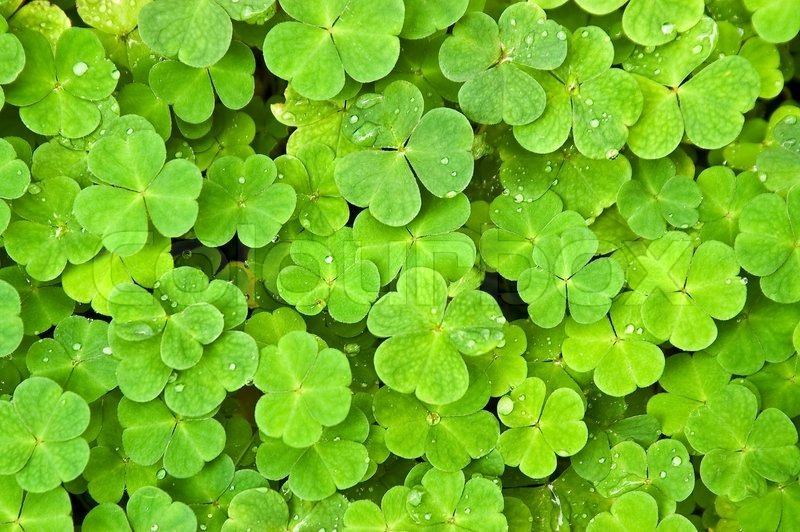 St. Patrick used the clover to teach non-Christian Irishmen about the Holy Trinity. He used the cover as an example of how the Father, Son, and Holy Spirit are all connected as one just as the three leaves of the clover are connected to make one. This was an easy tool for him since clovers could be found in most fields all over Ireland! It helps that most of Ireland is a field! What most people don’t know is that clovers play a key role in farming in the US. Clover actually helps soil health by injecting nitrogen into the soil. Nitrogen helps plants because it is a part of chlorophyll, which creates food for the plant so that it can go tall and strong. Some farmers will plant red clover either before or with their crop to reap maximum benefits of the nitrogen in the plant. Clover can also be used as a manure for crops such as vegetable and corn when it is planted for the main crop and has been known to help stifle weeds. Who knew the clover could do so much? Bringing families to God and food to our table, we owe this charming plant a lot. With a little luck and a lot of God, have a happy St. Patrick’s Day! Previous PostPrevious Sun to Solar: The sun is a free and unlimited source of energy. Why don’t we use it more?